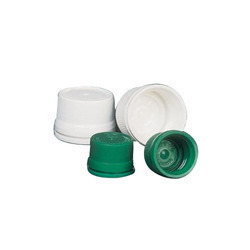 We are highly praised in the industry for delivering wide assortment of PP Caps. Parekhplast is the leading manufacturer of plastic containers and a complete solution provider for the packaging needs of large industrial houses. We have been in this business vertical for more than 3 decades and are developing and advancing our acumen constantly to ensure that we always remain a key member in the supply chain of our customers. Our core competency lies in injection molding and blow molding products and processing a variety of engineering plastics. Through the rich knowledge bank developed by our experienced product development team, we aim to achieve complete client satisfaction. Working for industries such as paint, pharmaceuticals, chemicals, food & dairy and cosmetics, Parekhplast constantly pushes its boundaries to explore new territories. With having three world class manufacturing facilities and multiple stocking points, we ensure that efficiency is never compromised.